The number one cause of turbo failure is oil “coking”. Oil “coking” occurs when a turbocharger is not properly cooled down and the oil that normally lubricates the center cartridge heats up and forms solidified oil deposits. A turbo timer allows an engine to idle for a preset time after the ignition key has been turned to the off position and removed. —- By allowing a turbocharged engine to idle, oil continues to pass through the turbo until it has cooled down to the point where oil “coking” will not occur. 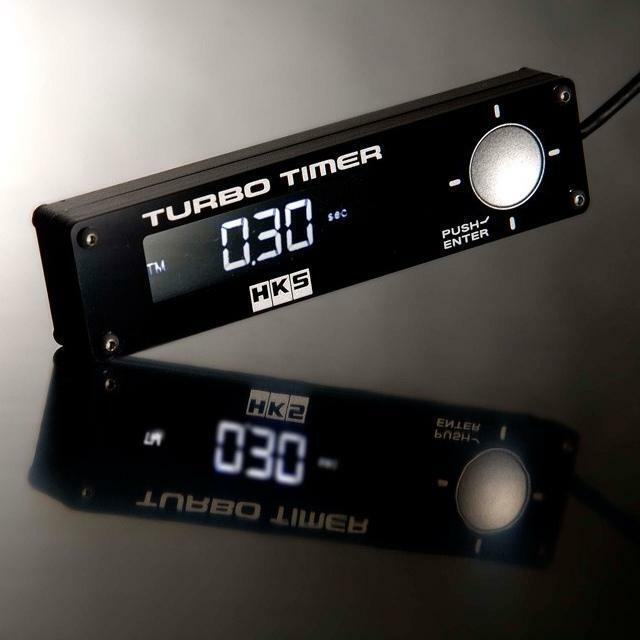 In 1982 HKS was the first company to offer a commercially available turbo timer, and has since been the leader in turbo timer technology. The HKS Turbo Timer Type-1 offers all the features of the Type-0, PLUS several monitoring and measurement tools. 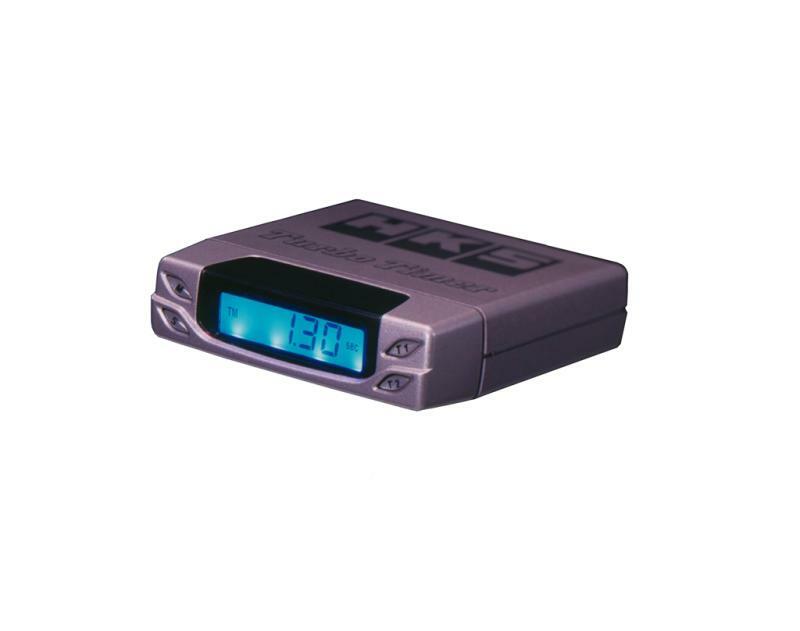 Vehicle speed and RPM can be displayed on the Type-1’s LCD monitor and a speed warning level can be set. A 2 stage RPM warning can also be set and used as a shift light. When a warning level is reached the Type-1’s LCD monitor will switch from blue to red and an audible beep will sound.